Wireless sports headphones with superior sound and secure fit. Jabra Sport Pace is more than just music motivation; it’s a training guide. The integrated training app, Jabra Sport Life app, gives you motivational training tips and lets you plan, monitor and evaluate your training. Set personal goals based on distance, time, or calories burned. You can select a target pace or set up interval training. The app will keep you updated with audio readouts. Make the most out of each session with real-time audio readouts. You get automatic readouts at specified time and distance intervals. 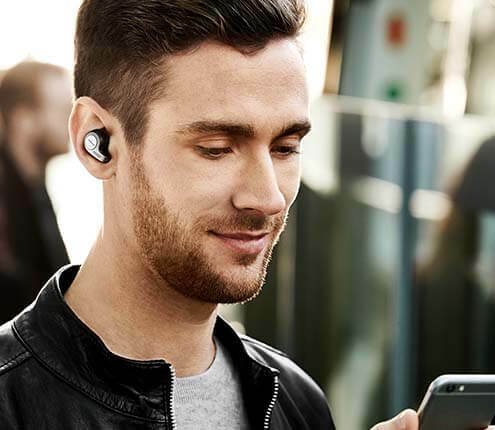 You can also hit the button on the left earbud to get instant updates at any time. Capture key stats like time, pace, distance, and calories burned and see your route on a map. A comprehensive workout history and achievements page puts your workout data instantly at your fingertips. 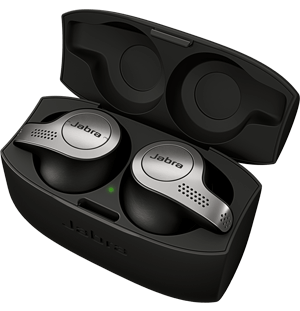 Jabra Sport Pace allows you to perform a fitness test, indoor or outdoor. All you have to do is run as far as possible in 12 minutes.